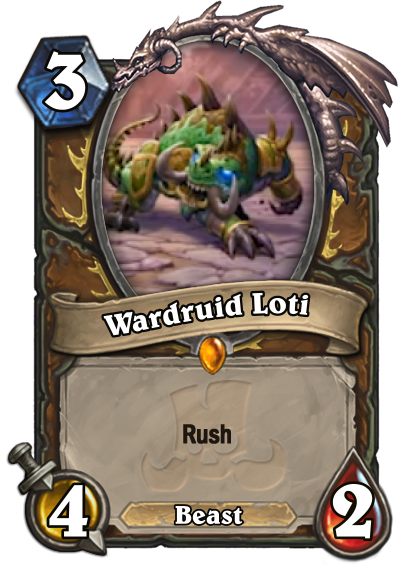 We have three new cards to review from Rastakhan's Rumble: an Epic Hunter spell, the Druid Legendary champion and an Epic Shaman spell. 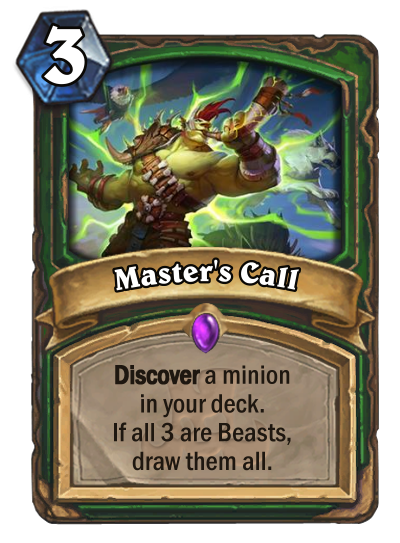 The wording on this card is a bit dodgy, but the consensus of what it actually does is that you get a choice of three minions from your deck and if all three are Beasts, you draw these three cards (and not copies of them). Otherwise, you just draw a single minion. Having deciphered that, Hunter is finally getting some draw! 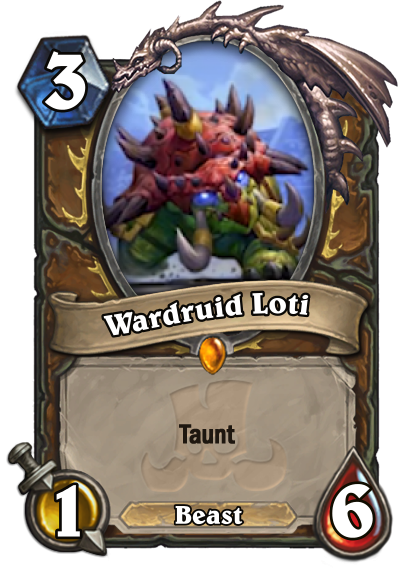 It's probably worth building a Beast deck around that card, or you can use this as a 3-mana targeted draw in a minion-light deck with big threats. This card reminds me a little bit of Effigy, but at the same time they are very different. 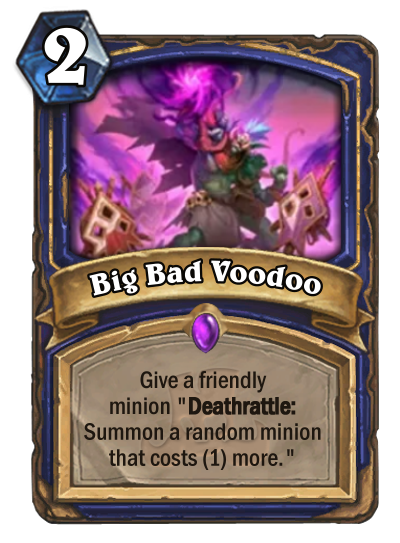 The problem with Big Bad Voodoo is that it is way too situational and random. 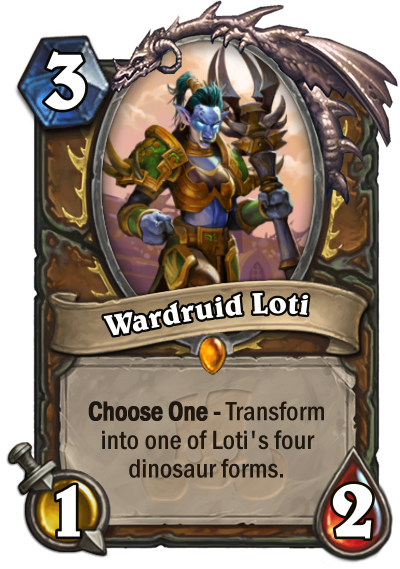 You might as well play Ancestral Spirit for the same mana cost and get an expected result (unless you get Silenced). 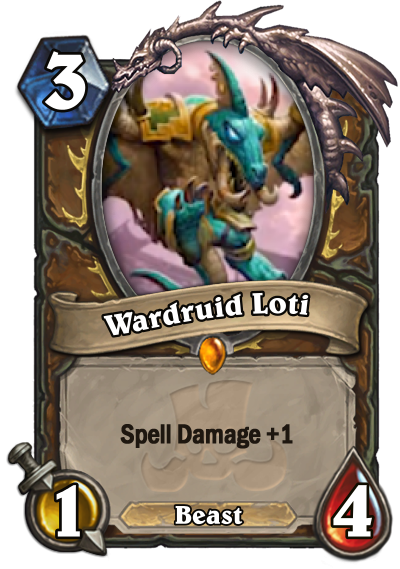 Card images are courtesy of Hearthpwn. 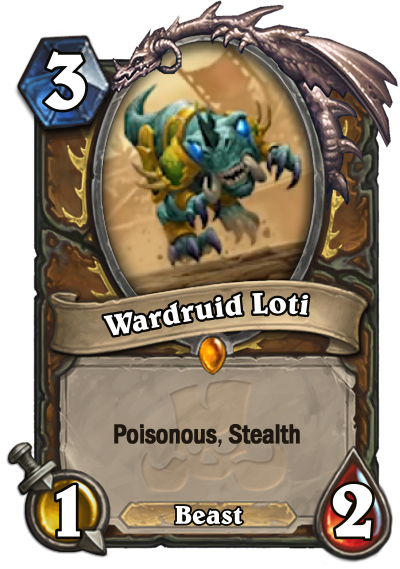 3 mana draw three beasts is pretty crazy. 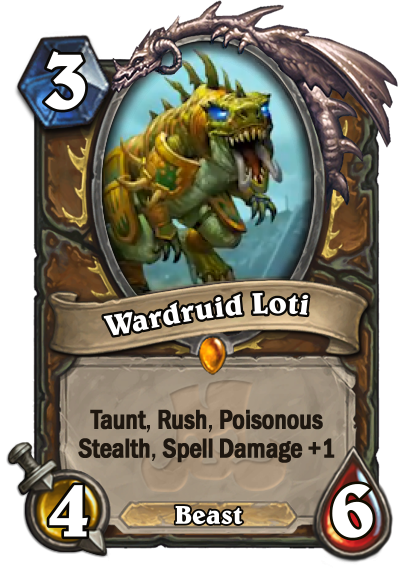 Guess it does mean you can’t run stuff like houndmaster as a result, but still, must be an all-beast hunter deck that can work with this and the beast resurrection card. And yeah, BBV seems worse than Ancestral Spirit, and seems unlikely you could ever afford to play both. sorry, I could have sworn the outline was purple, must have been more tired last night than I thought.